Shakib Al Hasan. Image - @SunRisers/Twitter. Bangladesh called star all-rounder Shakib Al Hasan back from the Indian Premier League to join the team’s World Cup preparation camp, the Bangladesh Cricket Board said on Monday. Bangladesh’s World Cup camp starts on April 22 and the team will travel to the UK in early May. They are scheduled to play a tri-nation series in Ireland from May 5-17. Shakib, who is currently with Sunrisers Hyderabad, has been asked to join the camp as soon as possible. “Our camp is starting. I have asked to send a letter to Shakib immediately to come back. Let’s see how he responds to this,” BCB president Nazmul Hassan was quoted as saying by AFP. Shakib has played one game so far this season, going for 42 runs in 3.4 overs against Kolkata Night Riders. Shakib recently invited his personal coach Mohammad Salahuddin to India to help his World Cup preparations. The World Cup starts from May 30 and ends on July 14 with Bangladesh’s first game against South Africa at the Oval on June 2. Mahmudullah (l) and Soumya Sarkar scored fine centuries in Hamilton. 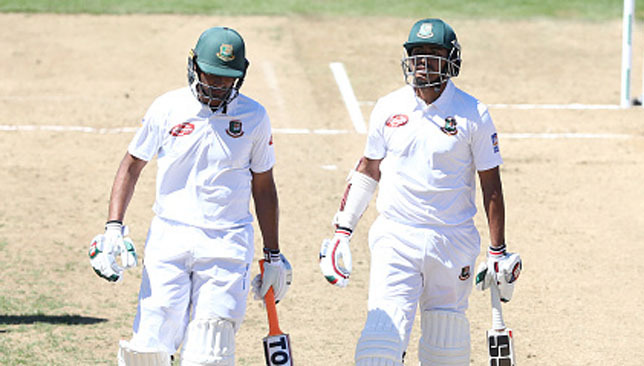 Bangladesh captain Mahmudullah is banking on the gains made by his batsmen during defeat in the first Test in Hamilton and put in a better effort against New Zealand in the second Test. The Kiwis won the first Test by an innings and 52 runs as they overcame a brave fight from the tourists on day four in Hamilton. After racking up their highest ever Test score of 715-6 declared in the first innings, victory looked a formality for the Black Caps, with Bangladesh entering the day 307 runs behind with six wickets remaining. But Mahmudullah and Soumya Sarkar had other ideas, both scoring centuries in a partnership of 235 that raised the prospect of the hosts having to bat again before Trent Boult removed Sarkar for 149. Bangladesh’s last five wickets then fell for 68 runs, with skipper Mahmudullah making 146 in a second innings total of 429 as Boult took 5-123. 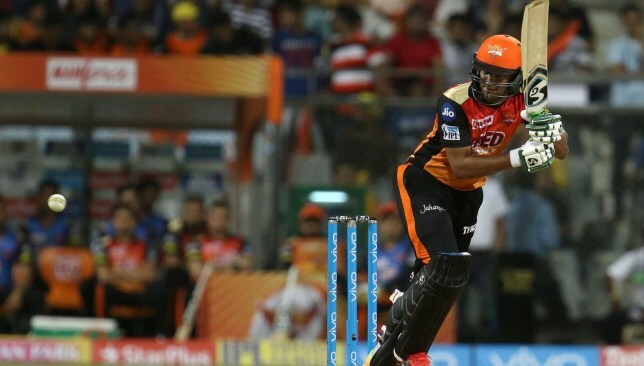 That counter-attacking stand with Sarkar has given Mahmudullah hopes for the second match which begins in Wellington on Friday. “We can carry forward some positives for the batsmen. Tamim (century and fifty) batted very well, Soumya was outstanding,” Mahmudullah was quoted as saying by Dhaka Tribune. Sarkar scored his maiden Test ton and it was a special moment for a batsman often accused of throwing his wicket away. “I think the batting of Soumya at that stage was very important as he was batting fluently and taking some odd chances. When bowlers bowl well, bowl bouncers and yet you score boundaries and score four-five per over, the bowlers tend to become frustrated. Soumya was doing these things very well and our partnership was going along strongly,” the skipper added. Bangladesh captain Mahmudullah has backed his young team to step to the challenge in the absence of senior players ahead of the first Test against New Zealand. The Tigers were blanked 3-0 in the preceding ODI series and have their task cut out in the Hamilton Test which begins on Thursday with all-rounder Shakib Al Hasan out following a finger injury and Mushfiqur Rahim sidelined due to wrist issues. However, Mahmudullah said it is a chance for youngsters to show what they are capable of. Conditions are likely to suit fast bowlers but the Tigers are light in experience in the pace department as well. Abu Jayed has played three Tests, Khaled Ahmed one while Ebadat Hossain is yet to make his Test bow. However, Mahmudullah remained upbeat, saying: “Rahi [Abu Jayed] is our premier fast bowler. He has played some matches and performed well. We have Ebadat Hossain, a new talent, who can bowl at a great pace. And we also have Mustafizur (Rahman). Everyone has ideas about his capabilities. Now our main focus is to execute our plan in the middle.